As we go to press this week, the annual musical feast known as the Scoil Samhraidh Willie Clancy is well underway in its 41st year as the pre-eminent summer school devoted to traditional Irish music and dance. To help mark the 40th anniversary of the legendary West Clare Willie Clancy Summer School, a documentary was produced this year to mark 40 years of extraordinary achievement in preserving and promoting traditional Irish music all over the world from the small village of Miltown Malbay, and was also launched as part of the opening celebrations to the week. Martin O’Malley of Malbay films produced and edited the documentary directed and written by Jack Healy to give a glimpse of the range of activity and impact that the WCSS has had over four decades in energizing a massive revival in Irish traditional music. 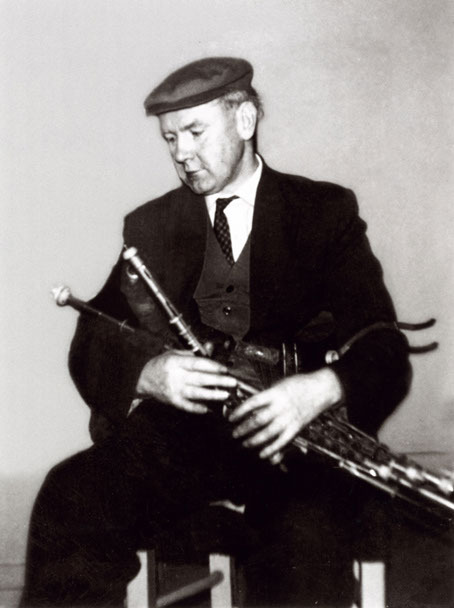 The school was established in July of 1973 in honor of the late and great piper, Willie Clancy, of Miltown Malbay who died suddenly in January of that year at just 55 years of age. Muirus O Rochain, a Dingle native Irish speaker who was a schoolteacher, married to a Miltown woman (Una), swayed a committee of musical friends and admirers of the seminal piper that a more fitting commemoration than a statue or concert should be an annual school to teach Irish music. O Rochain would go on to be the director of the WCSS until his own untimely passing in 2011, and knew it would be a more permanent way to honor Clancy and also celebrate the great generation of musicians in that locality whose music could be lost if action wasn’t taken soon. This anniversary documentary isn’t going to provide chapter and verse to the school’s history over two score years, but rather it gives you a feel for the people who inhabit the annual summer school and the life and vitality it brings every year to West Clare and the people who participate and attend it. You see right away that it is a reunion of kindred spirits from all over Ireland and the rest of the world really who flock to the musical mecca that is Miltown every July. A series of interviews with musicians and teachers and WCSS administrators Harry Hughes and Eamon McGivney, who worked with O Rochain to keep the program on course yearly, reveal the ethos behind the running of the school and its success. In its early years, the focus was on the promotion of Clancy’s primary instrument, the uilleann pipes believed to be most in need of preservation back in the seventies, but Clancy’s influence among fellow musicians really wasn’t limited to such bounds, and other instruments gradually came on board to the point where nearly all the instruments in traditional music are catered for. Even the concertina which was known as a Co. Clare hallmark thanks to Mrs. Crotty started out small, with only four students in a class with Noel Hill we learn in the documentary. Now he oversees a staff of 16 concertina tutors, including Miltown’s own Edel Fox from all over Ireland and over 130 weekly students leading to a striking revival in the prodigious instrument. Ennis banjoist and RTE broadcaster Kieran Hanrahan was asked to introduce a banjo class, and similar seeds were sown without “having the place littered with them” as O Rochain jokingly advised Hanrahan. While the documentary touches on the inclusion of set dancing at the school, it doesn’t really convey the huge impact that its introduction into the overall program had back in 1982 under the late Joe and Siobhan O’Donovan. It brought and continues to bring a phalanx of several hundred avid dancers to Miltown every year (and myself in 1984 and 1985 as the tide was rising), playing a massive revival role in the county quadrille dances and employment to a number of Ceili Bands still on the increase. An interview with Kilrush native Michael Tubridy does some justice to that revival along with that of the sean-nos dancing currently experiencing a huge boost at Willie Week and elsewhere. Whether you have been to Willie Week or not, the documentary Scoil Samhraidh Willie Clancy: 40th Anniversary Documentary will allow you to pay a flying visit to the festival known round the world and you will know why some consider Clare the capitol of traditional music in Ireland or perhaps the world. The DVD can be ordered at www.malbayfilms.ie.